If you never had the opportunity to stop in front of this car and see it, please do it. Turn around it, look at it from every perspective, catch every detail, even those that seem the most insignificant. Then try to imagine this car driving around today’s roads; you will probably come to the conclusion that it would still be beautiful. For her, the time seems to be not passed. 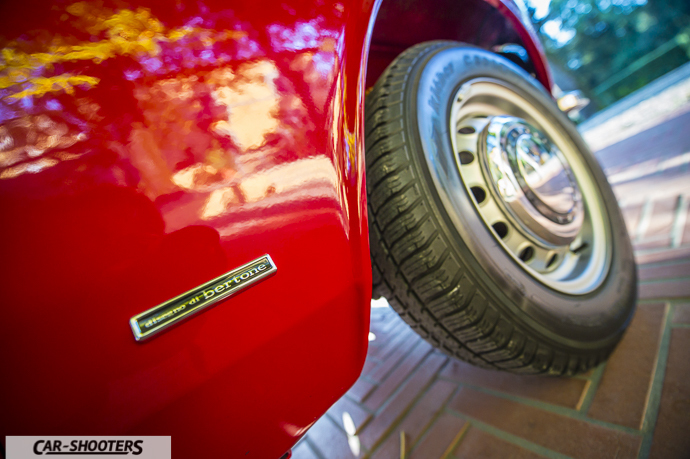 From anywhere you look at it, you can feel that feeling of grace and sportsmanship that only few cars can give to you. You really should take a chair, sit down beside her and admiring the view of those 4 meters of pleasure from the front to the tail. 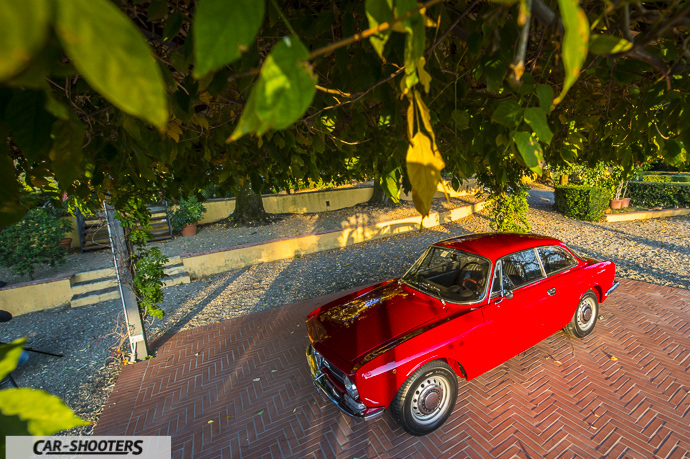 The bonnet pointing downwards, ending in wraparound windshield, the roof above it starts from its highest point, from which a slight descent, always more accentuated, until the rear window and the tail ends that lower and narrower front bonnet. It sits on the tail, an effect that usually makes a car not so sporty. Not in this case. If someone doesn’t like that line should turn the engine on. 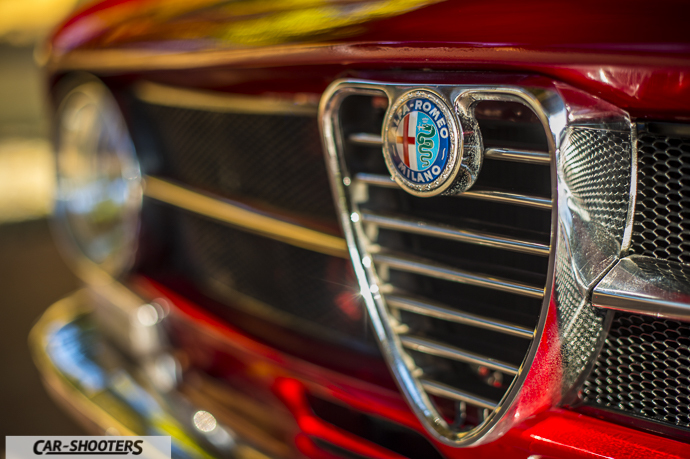 It would be the Alfa’s answer. The interiors are good looking almost as the exteriors. The driving position is very different from what we are used on modern cars. We drive with the steering wheel quite far, with the arms stretched out. 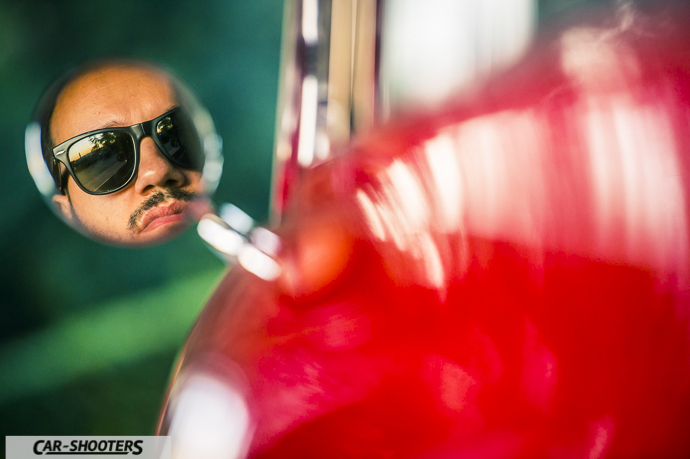 We immediately see that it is built around the driver. 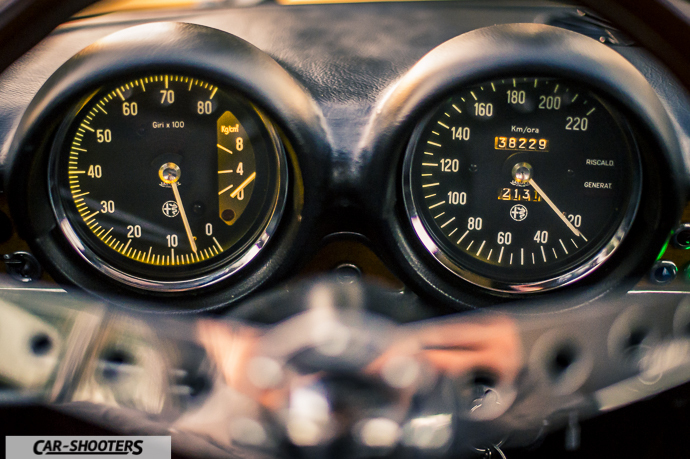 the two major instruments, speedometer and tachometer, in front of us. In my opinion the most beautiful ever made. 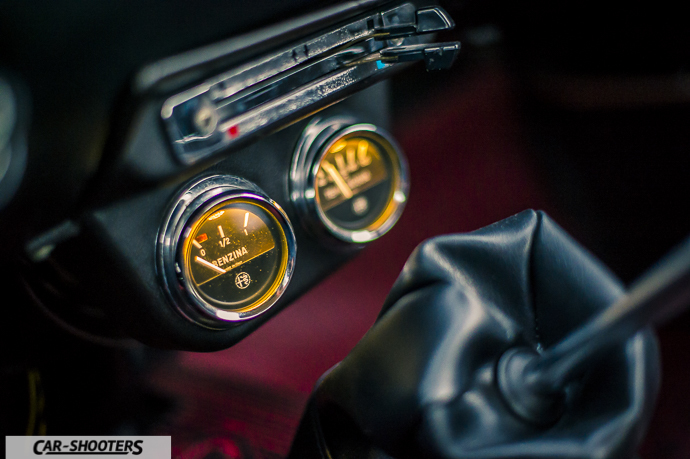 Embedded in the two humps of the dashboard, blacks with white text, clean and basic. Remember the dial of the Omega Speedmaster, known sports watch that at the time of GT Junior accompanied the astronauts in space. 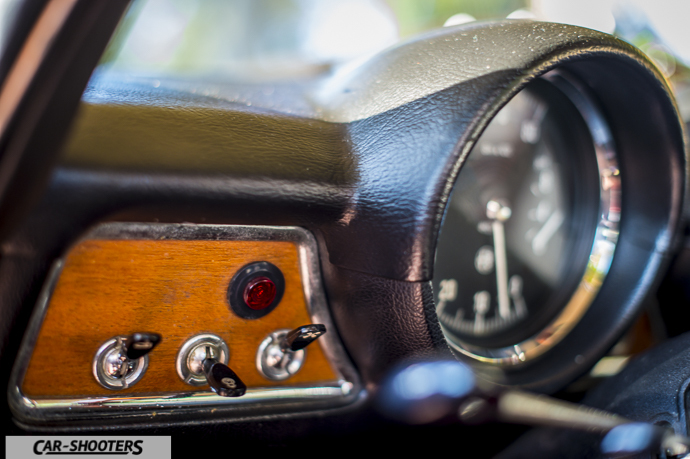 In front of the gearbox, at the bottom of the dashboard, the indicators of fuel level and water temperature are visible, both oriented toward the driver’s seat. Everything seems under control. Just like if there was nothing to do but enjoying driving. 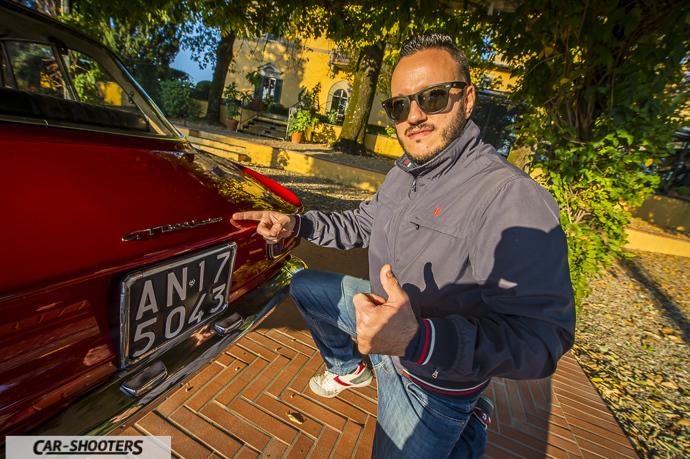 I compare myself with Damiano, the lucky owner of this GT Junior that we present today, which seems to agree with me on the feelings given by its beautiful Alfa. 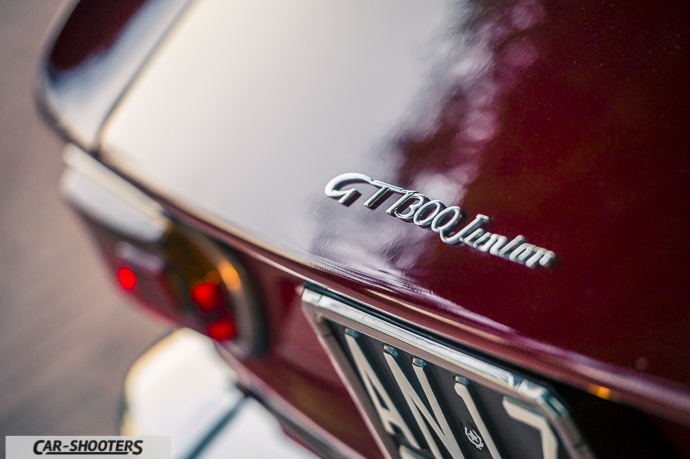 We are facing a 1300 GT Junior made in 1971, the year of the third series. 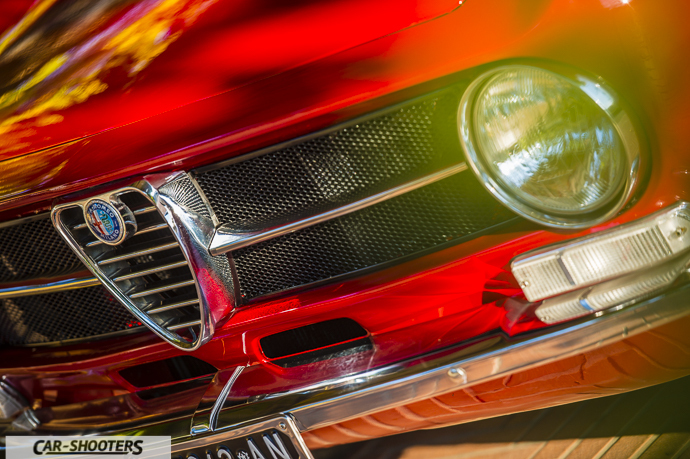 The Alfa Romeo GT was created in 1963 by the pencil of Giugiaro, at the time appointed by Bertone to design the coupe Alfa Romeo Giulia. 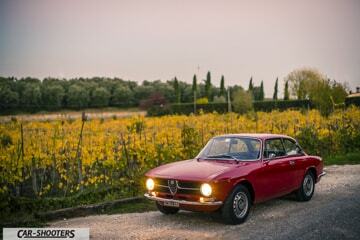 It was presented as the “Giulia Sprint GT”. The derivation from the sedan is very close, the mechanical configuration is the same with engine and transmission at the front and rear wheel drive. 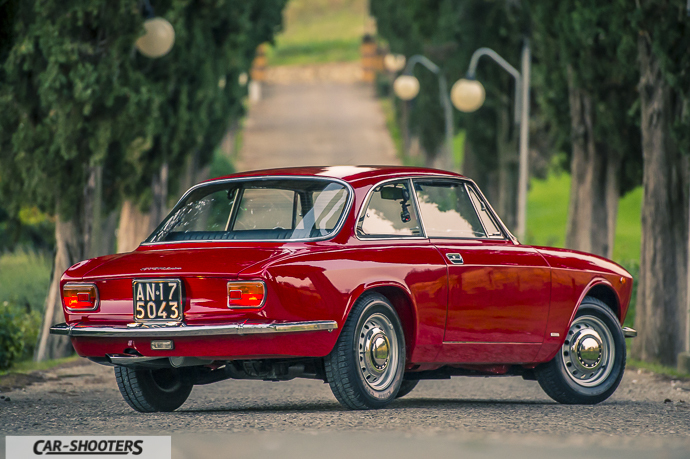 It differs in being short of a centimeter and a half and for the adoption of four disc brakes, not yet present at the time on the Giulia sedan. 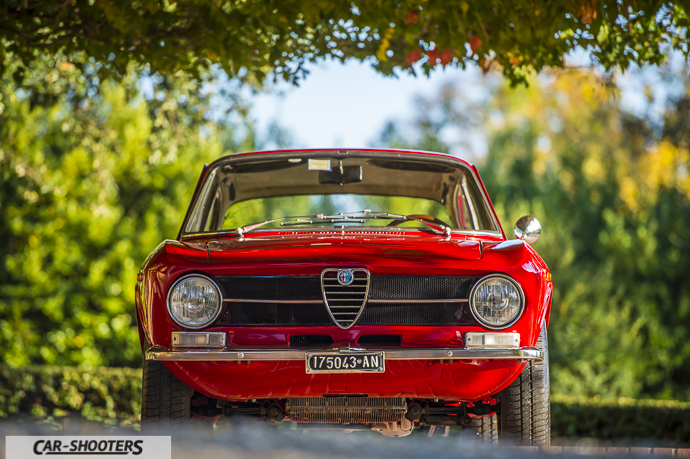 In 1965 she was presented with the “Giulia Sprint GT Fast”, with the same two-shaft 1600 engine but equipped with two double body carburettors and capable of delivering 109 hp. 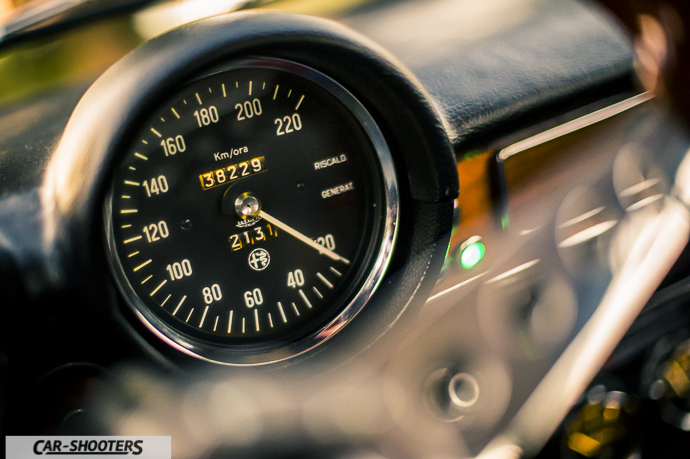 With a speed of over 185 Km / h it was one of the fastest in its class, able to compete for performance with higher-ranking cars. 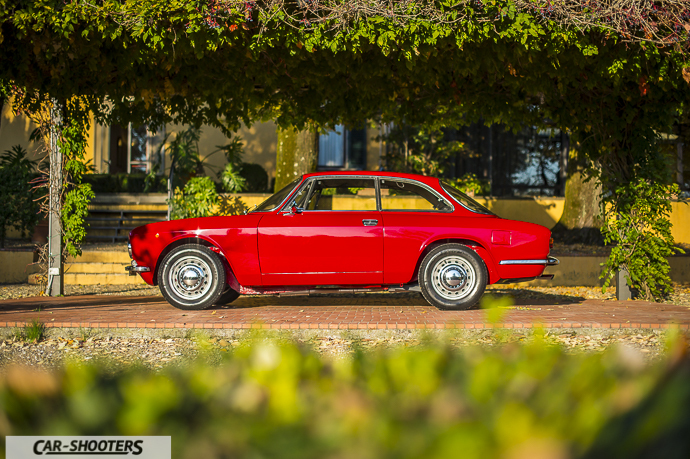 In 1966 the first set of the Giulia GT Junior has been presented. 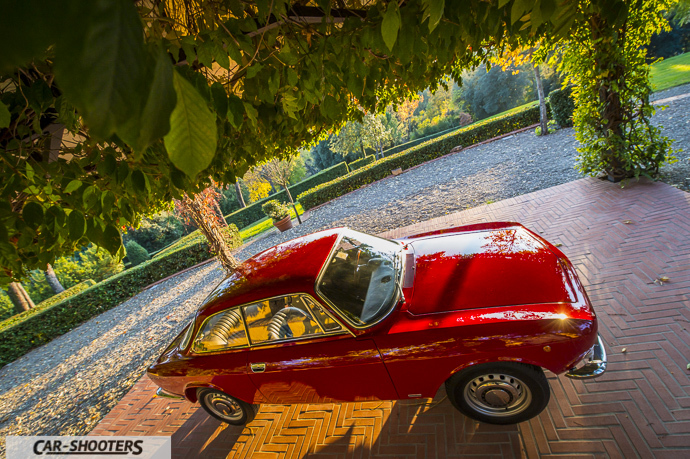 The intention was to bring a younger and poorer versions of Alfa Romeo sports. 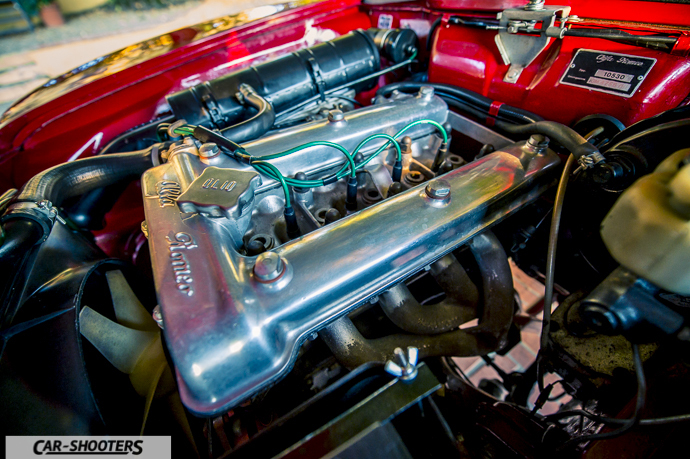 The solution was an engine with lower operating costs, and so more affordable, and a lower overall cost of the car. The Junior, compared to higher versions shows a revised front, easier and with a single horizontal frieze. 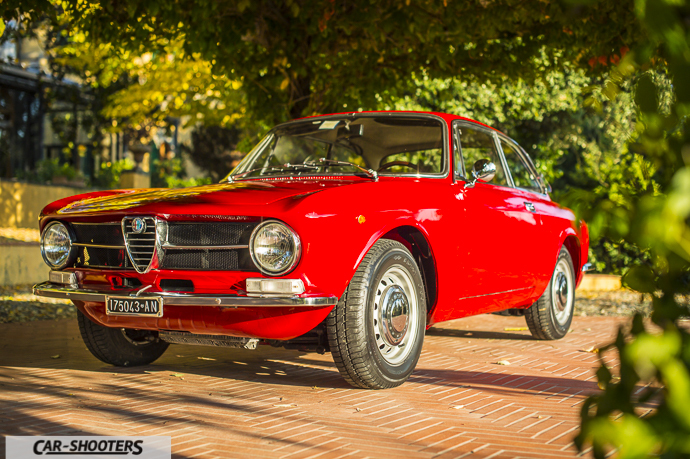 Other modifications of simplification of aesthetics and the absence of the booster make the weight of lowering of 20 kg, for a total of 930 kg, moved by the motor 1300 of the Giulietta. 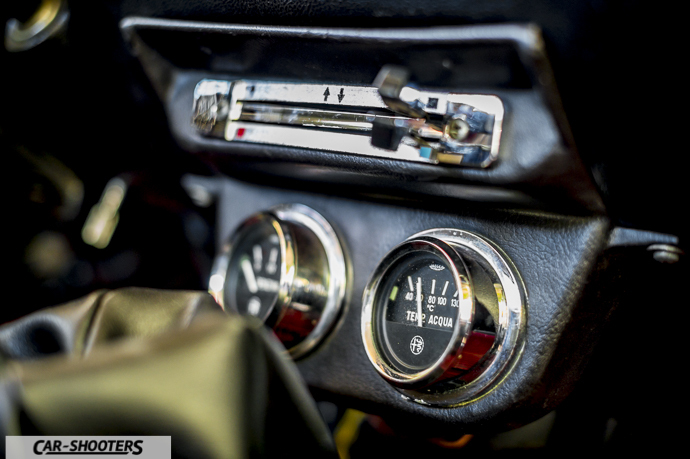 What characterizes this first series (1966-1969) is the step, the pedals hinged at the bottom and the dash pot. 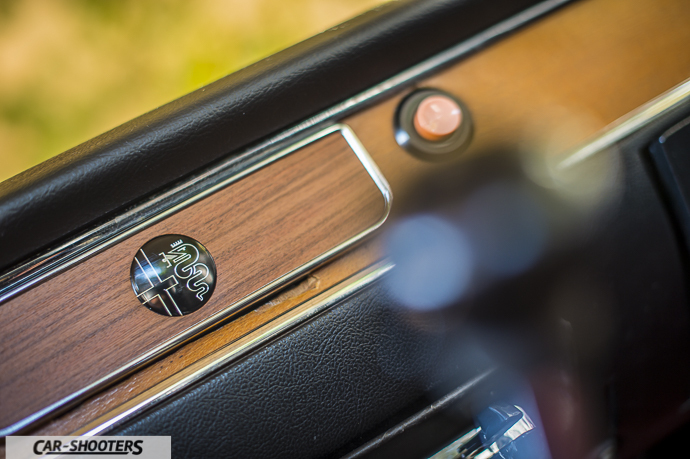 In 1969 the second series (1969 to 1971) abandoned the flat dashboard, the clutch control is adopted and becomes hydraulic modulator braking. With the third version (1971-1974), the line changes become important. The characteristic step (that the origin of the project was to be an air intake, an idea later abandoned for the production cost too high) is deleted. 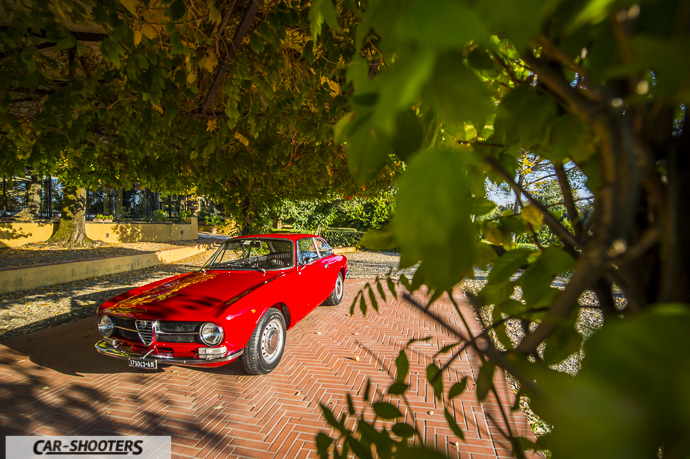 The front is the same as that of the GT 1750 Veloce which was submitted in 1967, except for the number of the front headlights. Horizontal frieze single but only two headlights instead of four. Compared to previous series headlights are farther apart, taken to the extreme of the mask, the indicators are placed under the sign instead of next. 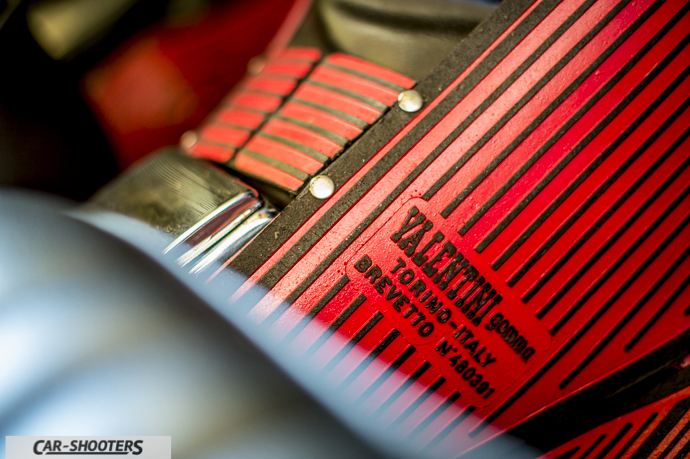 There are several mechanical differences; among those opening the bonnet you will immediately notice the cylindrical air filter and no longer proboscis as in the previous series. Improvements also as regards the brakes with the introduction of the double braking circuit. 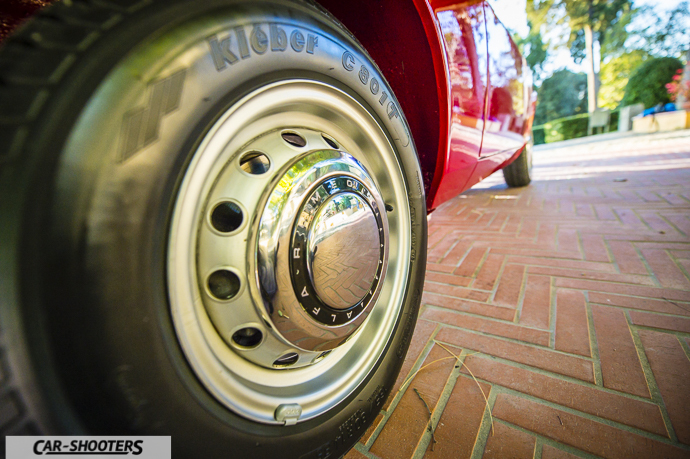 In 1972 introduced the 1.6 also on the Junior, the same as the Giulia Sprint GT Veloce with 109 hp and circles lose big boss chrome, replaced by a cover bolts chrome smaller. 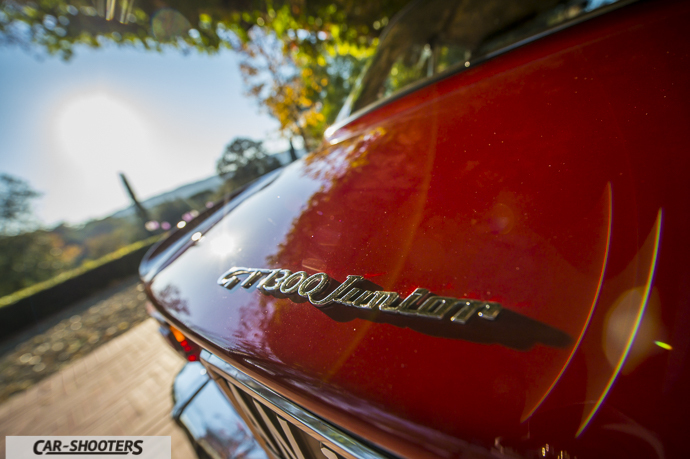 From 1974 to 1976 the career of Junior GT version ends with the “unified”. 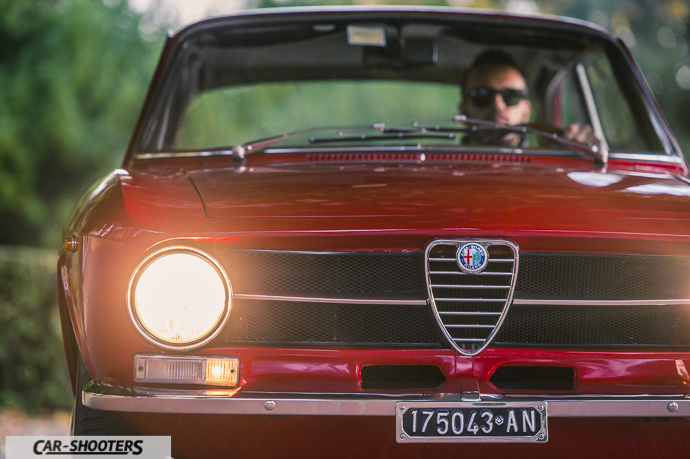 The fourth series undergoes major styling changes. The body is that of the top range in 2000 GT fast, the WP is thus presented four headlights with multiple horizontal friezes. 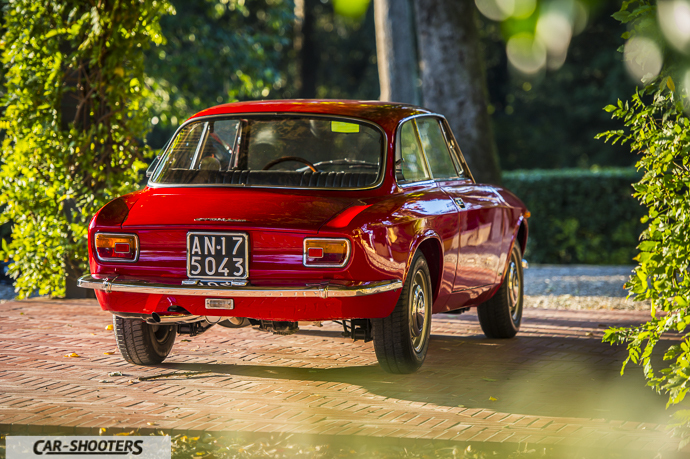 Compared to 2000, however, the rear lights are small, the Biscioni of 2000 on the uprights are not present and the bumpers are free of bolts. 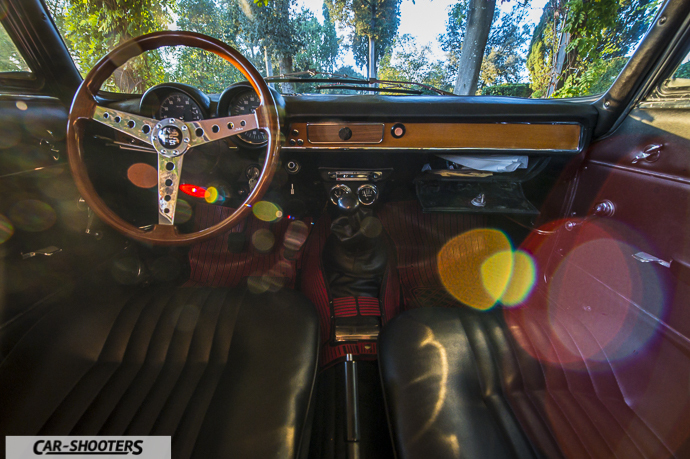 The interior however is the same all over those of 2000 GT Veloce; Flying glass, instrumentation magazine and seats of different form and have headrests. Huge was the motorsport career of this car. 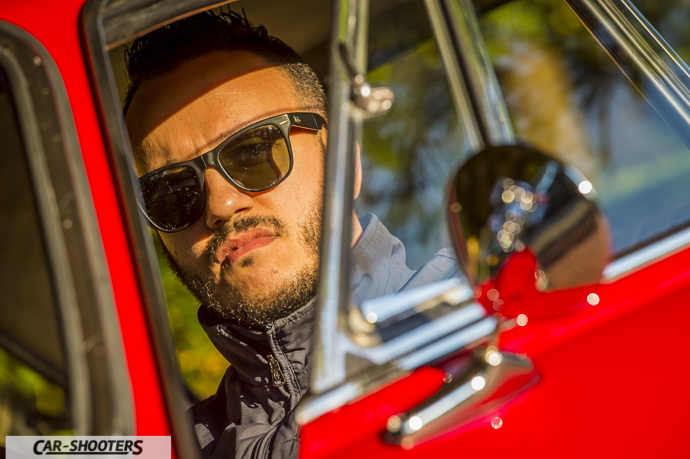 Throughout his life on the track it has always been the car to beat. 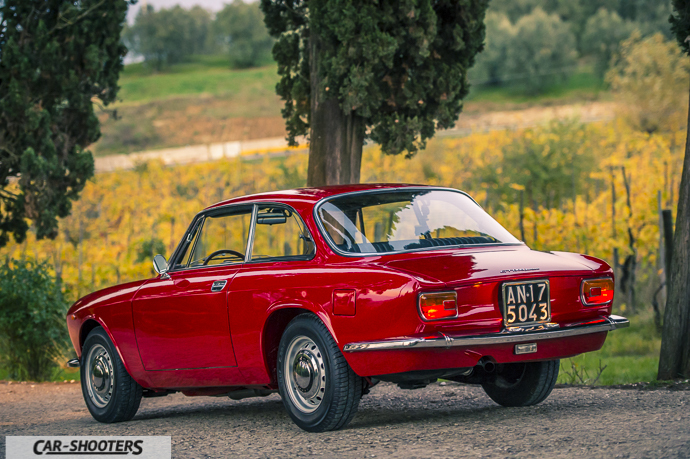 Often versions lightened GTA won head-on against the fierce competition of the most powerful BMW 2002 and Lotus Cortina. The secret was in excellent roadholding. Initially, with regard to competition, it was plagued by lack of little traction in corner exit. The rear inner wheel remained raised preventing discharged to earth the power. The solution was found by the technicians Autodelta badge, which invented the so-called “slide”. Thanks to this mechanical device in the rear curve remained well supported on the ground and got up curiously at the inside front wheel. 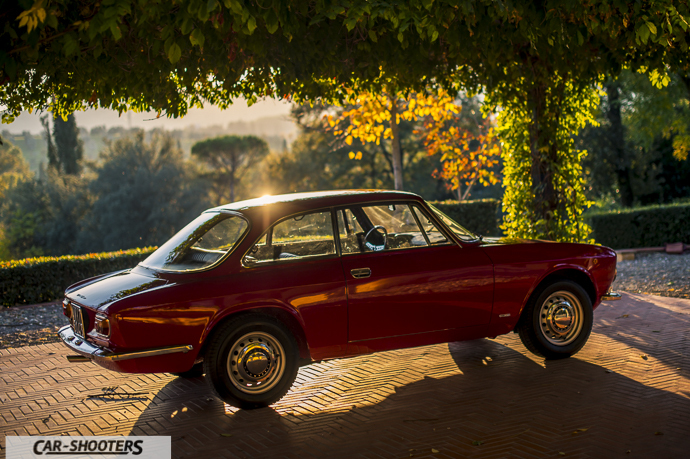 In old photographs of the Alfa GT engaged in the race we are usually see in this strange position with the front wheel raised. 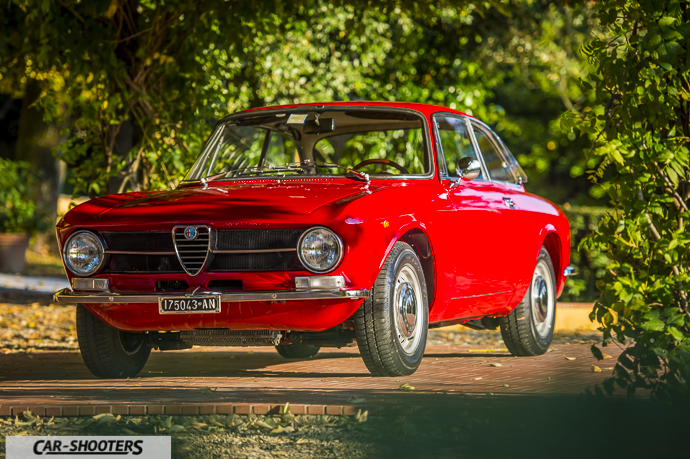 Today the Giulia GT cars are highly sought after, prices are soaring. Compared to a few years ago the value has been rising strongly. 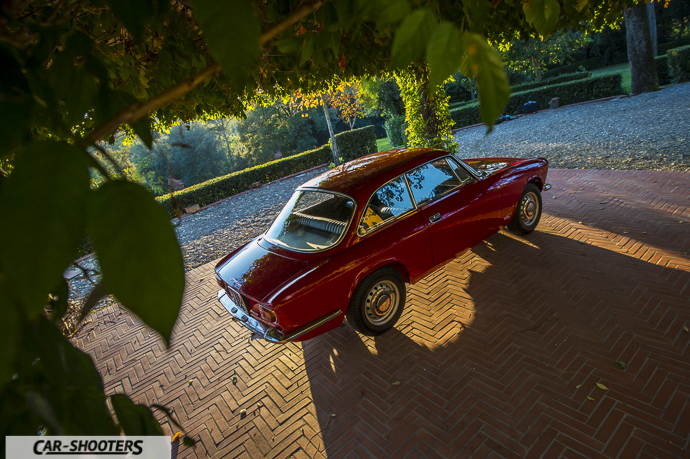 It ranges from about 13000 euro for a unified GT Junior 1300, to switch to 20000 for a 2000 GT Veloce and more than 30000 of 1750. Without considering the much sought GTA 1600 and GTA 1300 Junior for which are needed even more than 250000 € . Talking to Damian tells me how hard it was to find an exemplary in very good condition. Many viewed the rising prices have taken scrap, have them repainted and sold at a high price. His is a beautiful specimen gold plate, completely restored in 1995 and completely original in everything. 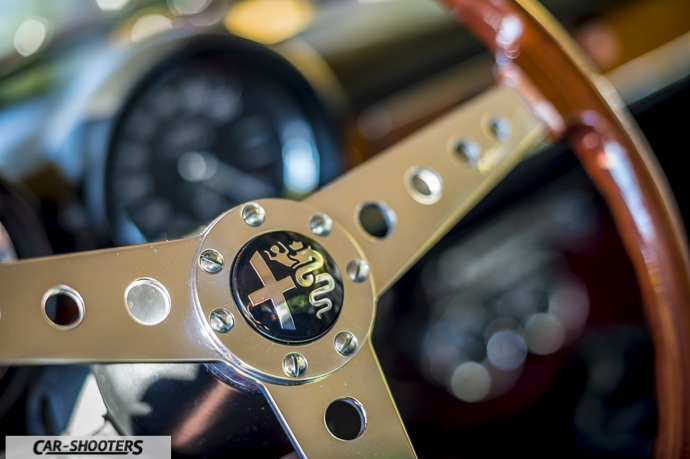 The only thing that differs is the beautiful wooden steering wheel with spokes pierced Hellebore the GTA. Today’s ride let us impressed by the couple’s small engine in 1300; It seems to drive a larger engine. Another surprise is the gearbox. Thanks to its position, in front, so no long delays, is really good. 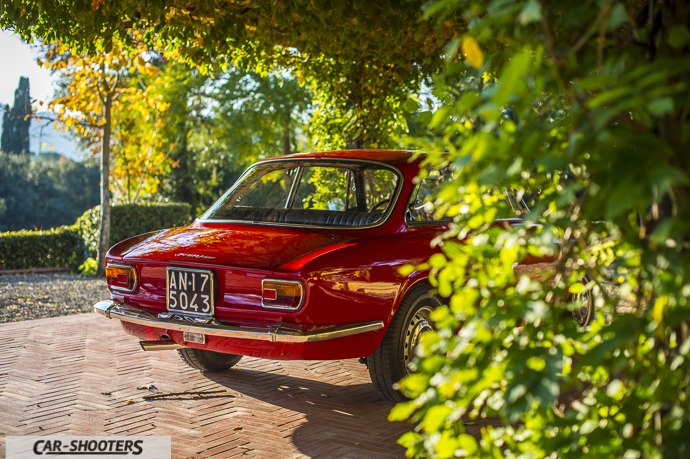 A control so pleasant and precise as that of Giulia is rarely to found. It is the time to say goodbye. 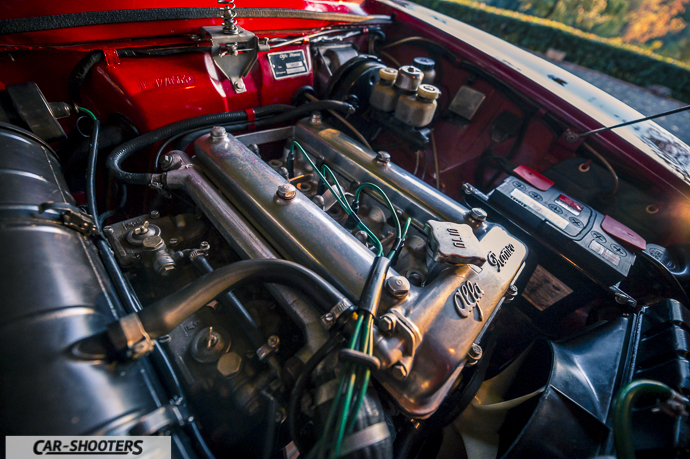 The unmistakable roar of Alfa DOHC who accompanied us throughout the day is getting farther along the avenue. Just disappears and we miss it already.